The hardest part of staying active is finding a routine that works for your lifestyle! With back to school and new activities, it can be overwhelming to also include staying active. Trial and error is the only way you will find what works for you, so don’t give up if your routine that you were doing a few weeks ago isn’t working for your schedule now! It’s so important that we take time to work out every day and find a routine that works for us! Something that I have started doing more this fall is getting active outdoors with Aimery on weekends. By doing this, it allows me to stay active on days that I normally wouldn’t make it to the gym, and it also gets us doing fun fall activities outside! Hiking, apple picking, corn mazes, and long morning walks are some of our favorite ways to stay active together this season. We love to hike local trails on Saturday mornings that overlook the Susquehanna River, and Aimery loves to collect rocks along the way. 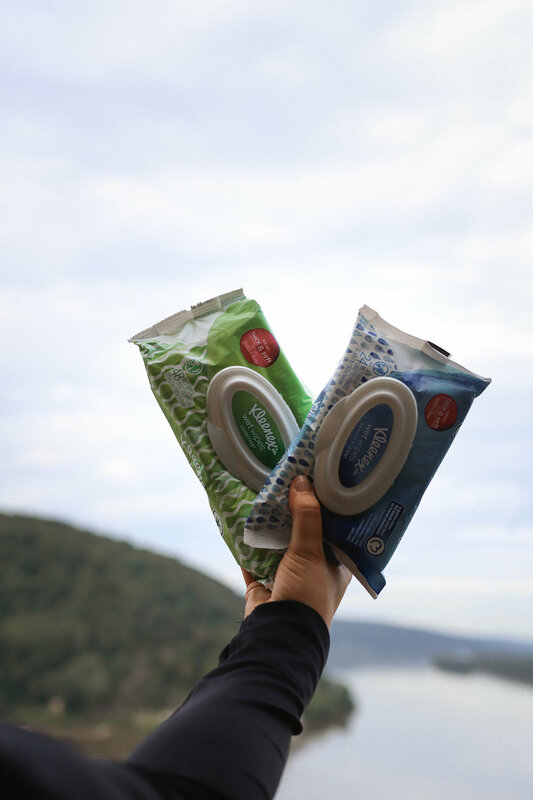 Whatever fall adventures that we go on together, I always make sure to pack Kleenex® Wet Wipes Gentle Clean to keep our hands and face clean for everyday use and while on the go! 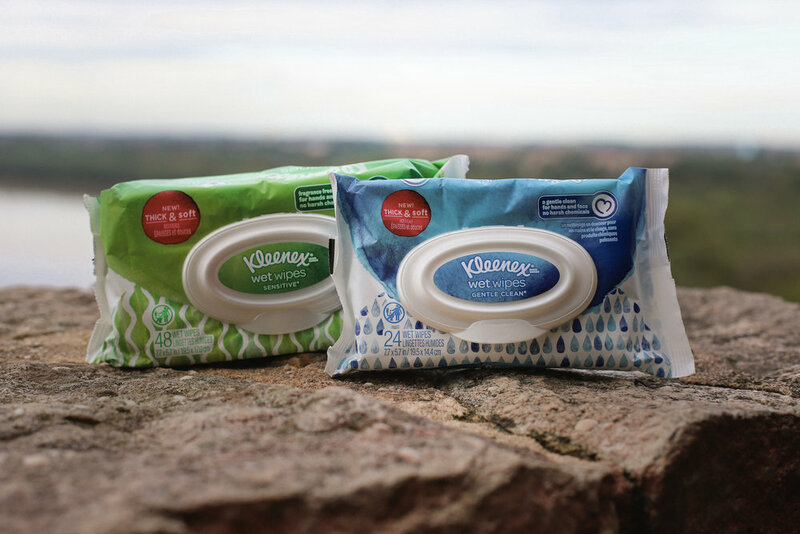 New Kleenex® Wet Wipes* are Made for Doers™ like us that don’t mind getting our hands dirty while staying active! Since Aimery has sensitive skin, I like him to use Kleenex® Wet Wipes Sensitive since they are fragrance-free and contain Aloe and Vitamin E.
Before Aimery started school, I thought the best time for me to go to the gym would be right after I dropped him off at preschool. I quickly realized that this routine didn’t work well for my schedule, because it took too much time away from my work day. 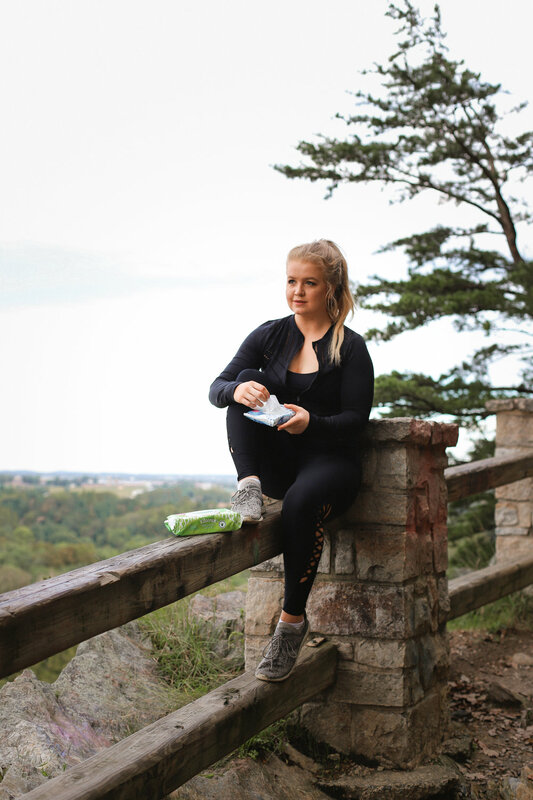 I found that I needed to switch up my routine to find time for both work and staying active! I decided the best way to do this would be to find a gym in the area that offers child care. After my daily workout and Aimery’s time spent with other kids, we use Kleenex® Wet Wipes Gentle Clean to clean our hands without sticky residue. How do you fall back into your active routine? Comment below!